Okay so I may be obsessed. Just a little obsessed. 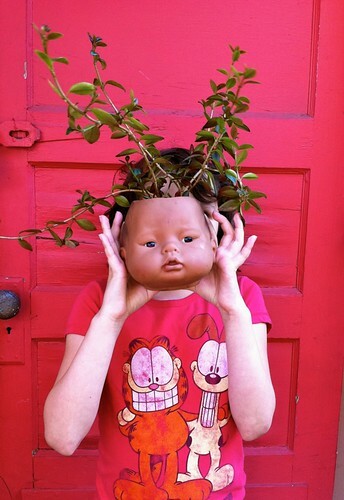 Hairdos in the garden. 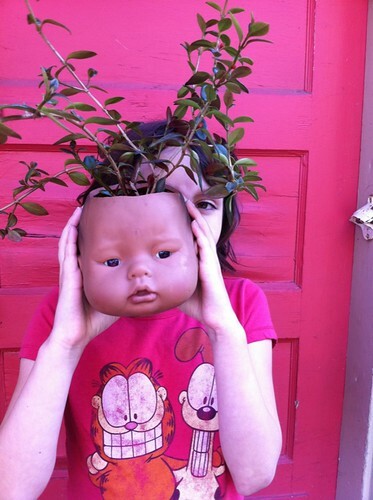 Meaning, plants in pots shaped like heads. I've had one in the kitchen sitting atop our coffee maker for the past 8 months or so. His name is Edgar. Some people have walked in and stopped dead in their tracks asking "What. The. Hell. Is. That." Apparently it may be frightening. I find Edgar to be delightful. And it's with this delight my obsession is growing, and over on Pinterest I have a whole board for Hairdos in the Garden. 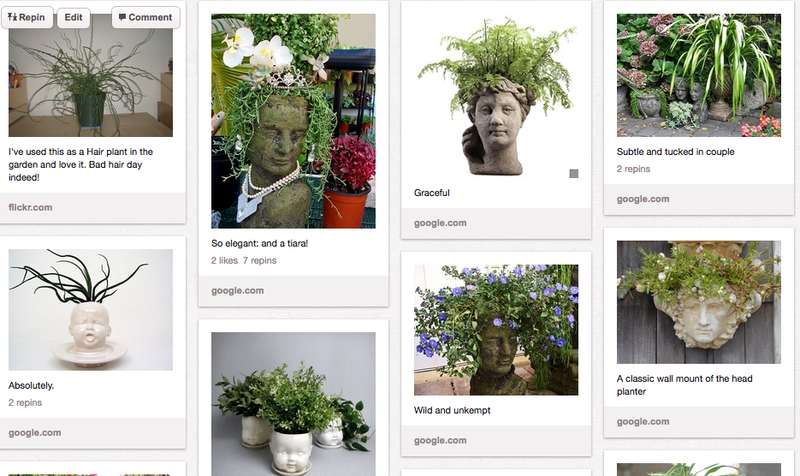 I'm envisioning amassing a collection of them in our garden this year. Curly hair, medusa hair, dreadlocks, fancy combinations, mullets. Oh the thrill of it all. I love it when I get like this. And as for the potentially frightful aspect for some? That's only an indicator that I love it more. Weird is always, always good. 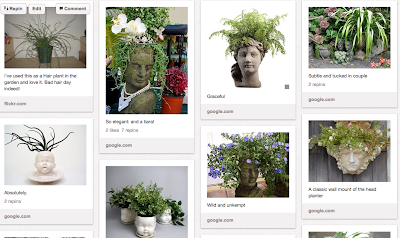 More garden stuff over at my place on Pinterest here. This is still making me laugh so hard. You are a woman obsessed! Heather, I believe the saying goes: It takes one to know one. Bird lady. AWESOME. Potentially frightful to some? In the wise words of Maurice Sendak, "let them wet their pants!" These are delightful! I especially love the stone work and the "couple" discreetly tucked away. I've been enjoying your blog so much. I look forward to your next contribution! What an inspiration you are! In so many ways! Thank you for sharing you love of life and gardening. It is much appreciatated.